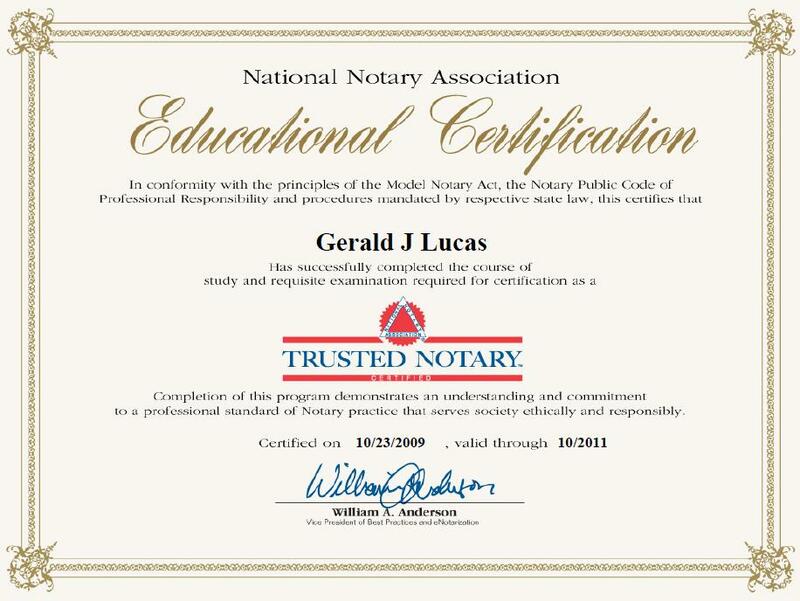 Jerry Lucas is a Colorado Springs mobile Notary Public (traveling notary), an Electronic Notary (E-Notary), a Certified Notary Signing Agent, a Certified Trusted Notary™, and a member of the National Notary Association (NNA) and the American Association of Notaries (AAN). 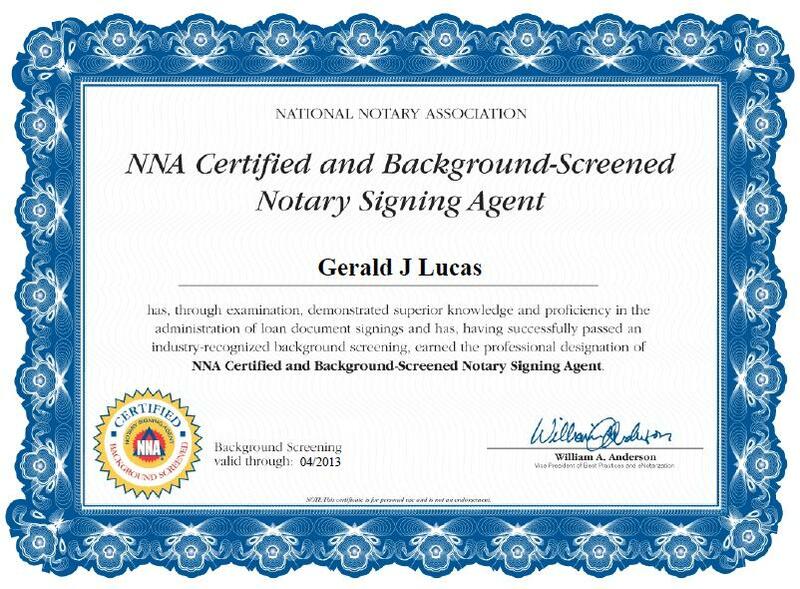 He is a graduate of Notary2Pro Professional Signing Agent Loan Document Specialist course and TRID training. He also teaches state-approved Colorado Notary Training RULONA classes and has passed the Colorado Notary Exam in 2010 and 2013 and Colorado RULONA Notary Exam in 2018. From his experience, he is familiar with real estate, mortgage lending, landlord/tenant, estate planning, probate, wills, living trusts, beneficiary deeds, powers of attorney, corporation, and LLC (limited liability company) forms and documents, Apostilles and authentications. Jerry does not provide legal advice. ABC Legal Docs, LLC, is a mobile Notary Public and legal document services firm, founded by Jerry Lucas. Jerry is a former Principal Computer Design Engineer and worked for Digital Equipment Corporation for 23 years (acquired by Hewlett Packard/COMPAQ). He has received numerous awards for his leadership and volunteer work in the community. Many landlord students have attended his seminars on Managing Rental Property. We follow Better Business Bureau (BBB) standards. We support Silver Key Senior Services. We support Pikes Peak Area Agency on Aging (AAA) and the Senior Information and Assistance Center (SIAC).